Vortigern was a 5th-century CE English ruler best known for inviting the Saxons to Britain to stop the incursions of the Picts and Scots and allowing them to take control of the land. 'Vortigern' is a title, not a given name, and means 'Great Chief' or 'Supreme Lord'. Vortigern's actual name is unknown as are many details about his life. The histories which tell his story are reliable enough to support the claim that he existed and was instrumental in a Saxon migration to Britain, but the main accounts are written by his enemies, and so his motivation is unclear. His decision to invite Saxon help in halting the raids of the Picts and Scots is recorded by the historians Gildas (c. 500-570 CE, who first refers to him as 'Supreme Lord' and blames him for the Saxon invasion); Bede (672-735 CE, who first calls him 'Vortigern' and responsible for the Saxons), Nennius (9th century CE, who presents him as weak-willed and foolish), William of Malmesbury (c. 1095 - c. 1143 CE, who claims he was a slave to his desires and easily manipulated), Geoffrey of Monmouth (c. 1100 - c. 1155 CE, who gives the fullest description of him as a villain) and the French poet Wace (1110-1174 CE, who follows the lead of Nennius and Geoffrey). None of these sources, clearly, hold him in very high regard. The Anglo-Saxon Chronicles are among the objective pieces of evidence which support Vortigern's historicity. The Anglo-Saxon Chronicles (late 9th century CE) also mention him but pass no judgment on his actions. The Chronicles are among the objective pieces of evidence which support Vortigern's historicity. The entry on him reads: "A.D. 449. And in their days Vortigern invited the Angles thither, and they came to Britain in three ceols [ships], at the place called Wippidsfleet [Kent]". His historicity is also confirmed by place names in Wales related to him. These early histories, other than the Chronicles, are more or less consistent in depicting Vortigern as a thoughtless king who cared more about his own pleasure and comfort than the welfare of the people and who engaged in "pagan acts" in defiance of Christian values and morals. The Saxons are presented as "heathens" who set about destroying the country as soon as they had driven out the Picts and Scots and are routinely described in animal imagery as ferocious dogs or lions. Vortigern is blamed not only for his personal beliefs and actions but for the policy he followed in opening the door for what these writers viewed as a Saxon invasion. Julius Caesar came to the island in 55 and 54 BCE but made no serious bid to claim the land for Rome. The Roman invasion began in 43 CE under the reign of Claudius, and Britain would be occupied until 410 CE. Rome was having problems of its own in 410 CE as the Goths had just sacked the city and the Western Roman Empire was tottering. These difficulties had been increasing in severity for around 200 years by the time of the 5th century CE, and Rome had been steadily decreasing its garrisons in Britain as troops were needed on the continent. While the need for Rome to protect itself is understandable, their decision to redeploy the troops left the people of Britain helpless against invaders. The Roman army stationed along Hadrian's Wall and garrisoned in other areas throughout the land had served as their protectors for over 300 years by this time. Once Rome left, the northern Picts and Scots saw their opportunity and overran the boundary wall in raids on British farms and villages. At about this same time, the Saxon confederacy broke apart on the continent and Saxon immigrants and raiders began appearing on the southeast coast of Britain. Gildas records how the Britons sent repeated messages to Rome begging for help (known as the Groans of the Britons) but Rome could not spare any troops. The Anglo-Saxon Chronicles sum up the situation in a single line: "A.D. 443. This year sent the Britons over sea to Rome, and begged assistance against the Picts; but they had none, for the Romans were at war with Attila, king of the Huns. Then sent they to the Angles, and requested the same from the nobles of that nation". The Romans had discouraged any kind of independence on the part of the people, and the Briton aristocracy had become so Romanized that they had forgotten a time when indigenous chiefs had led their tribes. It would be understandable in this kind of situation if a chief should seek help from any armed force available. The Welsh monk Nennius in his History of Britain presents Vortigern as a villain who was proud, anti-Christian, incestuous, and sold his country out to the Saxons. According to Nennius, after the Romans left Britain, the invasions of the Picts and Scots became incessant. Appeals to Rome for help were in vain and so Vortigern, believing he could profit from the arrangement, invited Saxon assistance. But Hengist, in whom united craft and penetration, perceiving he had to act with an ignorant king, and a fluctuating people, incapable of opposing much resistance, replied to Vortigern, "We are, indeed, few in number; but, if you will give us leave, we will send to our country for an additional number of forces, with whom we will fight for you and your subjects." Vortigern assenting to this proposal, messengers were despatched to Scythia, where selecting a number of warlike troops, they returned with sixteen vessels, bringing with them the beautiful daughter of Hengist. And now the Saxon chief prepared an entertainment, to which he invited the king, his officers, and Ceretic, his interpreter, having previously enjoined his daughter to serve them so profusely with wine and ale, that they might soon become intoxicated. This plan succeeded; and Vortigern, at the instigation of the devil, and enamoured with the beauty of the damsel, demanded her, through the medium of his interpreter, of the father, promising to give for her whatever he should ask. Once Vortigern and Hengist have become related by marriage, the Saxon king makes more and more demands, all of which are met. Vortigern's son Vortimer rebels and is victorious in a number of engagements before he is killed. The Saxons have been driven from the land, however, and their power broken; until Vortigern invites them back again. The rest of Nennius' account deals with Vortigern's feeble attempts to deal with the Saxons, his death, and the appearance of the hero Arthur who defeats the Saxons at the Battle of Badon Hill. Geoffrey of Monmouth's History of the Kings of Britain (c. 1136 CE) is a largely fictional account of the rulers of the land from the first king, Brut (c. 12th century BCE), to Cadwallader (c. 7th century CE). 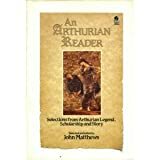 Geoffrey is known as the Father of Arthurian Literature for his development of the figure of Arthur from Nennius' brief description as a war-chief into the powerful and noble King of the Britons of legend. Although there is no doubt that Geoffrey made up most of the book, it is still regarded as semi-historical in that some events can be corroborated by other sources. Geoffrey follows Nennius' account but embellishes with detail, dialogue, and deeper characterization. Geoffrey's Vortigern is a weak-willed man torn between the dictates of his professed religion and his own desires. Vortigern invites the Saxons to Britain to help but, Geoffrey makes clear, is unable to control them from the start. Hengist manipulates the king by introducing him to his beautiful daughter Ronwen, getting him drunk, and then letting Vortigern think it was his own idea to marry the woman. Once they are married, as in Nennius, Hengist makes more demands on the king, Vortimer rebels and is killed, and Vortigern then invites the Saxons back because of his great love for his young wife. Geoffrey continues the narrative, however, introducing the wizard Merlin (also called Ambrosius Merlin). From the time Vortigern is first introduced his Christian values are questionable, and Geoffrey frequently associates him with Satan and darkness. When Vortigern first sees Ronwen and falls in love with her, Geoffrey writes that Satan entered his heart and then elaborates: "Satan entering into his heart, I say, for that he, being a Christian, did desire to mate him with a heathen woman" (VI, 12). When he introduces Merlin, he makes clear that Vortigern has surrounded himself with magicians whose power Merlin shows to be nothing but fakery and lies. Vortigern is trying to build a tower to defend himself against attack but, no matter how skilled the masons are, the building falls over during construction. Vortigern's magicians tell him that he must sacrifice a youth who has no father and sprinkle the blood on the foundation and then the tower will rise. Merlin is chosen as the sacrifice but, instead of submitting, defies the king, saying, "Bid thy wizards come before me and I will convict them of having devised a lie" (VI, 19). He then tells them that, if they dismantle the tower, they will find a pool beneath it which is causing the problem. The Boar of Cornwall Merlin references is King Arthur who will defeat the Saxons and go on to conquer most of Europe and even topple Rome in Geoffrey's story. Vortigern dies and is succeeded by Ambrosius Aurelius, brother of Uther Pendragon (Arthur's father). Ambrosius and Uther will both fall battling the Saxons Vortigern has unleashed on the land, but Arthur will avenge them and free Britain through his victory at the Battle of Bath. According to historian and scholar Ward Rutherford, Vortigern may have actually been counting on the Saxons recognizing a time-honored Celtic practice known as celsine (clientship) in which a weaker party placed themselves at the service of a stronger one in times of need, and when the crisis was resolved, the relationship ended. Rutherford suggests that Vortigern was placing the Britons under the protection of the stronger Saxons but that, once the threat from the Picts and Scots was nullified, the Saxons failed to recognize the usual terms of celsine. Whatever Vortigern's motivation or personal weakness, he has been regarded as an archvillain for centuries. Rutherford's claims make sense in light of the chaotic situation in Britain after Rome withdrew its legions. Without Roman protection, the Britons floundered at first in trying to defend themselves against invasions from the north and incursions from the continent until a great leader, identified in some sources as Ambrosius Aurelianus and in others as King Arthur, rose to lead them. Even so, the accounts of the early historians, especially Nennius, suggest that Vortigern was simply too weak-willed to compete with the Saxon king Hengist, allowed himself to be manipulated, and let the Saxons dominate the Britons. Scholar Geoffrey Ashe suggests that Vortigern may have simply been acting in accordance with standard Roman practice by employing federates to fight for his cause. Federates were barbarians who were promised land and some kind of stipend in return for military service. The use of federates would have been well known in Britain after over 400 years of Roman occupation. Ashe points out that the use of federates did not always go smoothly, and in Vortigern's case went terribly wrong, but this should not necessarily be held against him. Whatever Vortigern's motivation or personal weakness, he has been regarded as an archvillain for centuries. The title 'Vortigern' comes from the Welsh, and it is thought that he may have been a Welsh king. If so, the predominantly Welsh historians who wrote of him (especially Nennius and Geoffrey) could have been particularly upset that one of their own had made so huge a blunder. Nennius and Geoffrey give no indication that Vortigern considered celsine but the suggestion he may have invited the Saxons under that understanding does make sense in that there was nowhere else he could turn for help. Under Roman occupation, after all, this problem with the northern invasions would have been taken care of without a noble like Vortigern having to do very much at all; but life had changed in Britain considerably since the Romans left. Whatever his actual motivation may have been, Vortigern is routinely depicted in a negative light by later historians drawing on the above accounts. Rutherford cites the Welsh Annals which include him as one "of the three arrant traitors of the Island of Britain" (135), and William of Malmesbury, even though he claims the Britons felt helpless after Vortigern's death, still characterizes him as weak-willed and a slave to his own vices. Gildas claims he only asked the Saxons to come after first conferring with a council but still does not show him any respect. As noted, since these writers were mainly Celtic Welshmen, and Vortigern may have been Welsh, it could be that they held him in such low regard not only because one of their own invited the Saxons to Britain but because he was foolish enough to think the practice of celsine would be honored by non-Celts. As Rutherford points out, Vortigern may have thought the Saxons would understand the nature of his request and honor the policy of celsine or he may have thought he could use the old practice to control the Saxons somehow. If so, he never seems to have considered that a non-Celtic people might not know of the practice, or knowing of it, might not honor it. As it happened, the Saxons are not depicted as having any concept of the practice and, having defeated the Picts and Scots, turned on the Britons. In the accounts of Gildas and Bede, this is when Ambrosius Aurelianus appears to lead the people and free the land; in Nennius and Geoffrey, it is King Arthur. The true Vortigern may never be known but the ruler who invited the Saxons to Britain has been infamous for centuries. In the same way that Geoffrey of Monmouth is credited with creating the character of Arthur, he also established the accepted view of Vortigern as the traitor who betrayed his country to gratify his lust. If scholars like Ashe and Rutherford are correct in their claims, however, and Vortigern meant only the best in his offer to the Saxons, he is more a tragic hero than a villain. Ashe, G. The Discovery of King Arthur. (Anchor Books, 1985). Brengle, R. L. Arthur King of Britain History Chronicle. (Appleton, Crofts Century, 1964). Matthews, J. An Arthurian Reader. (Harpercollins, 1989). Rutherford, W. Celtic Mythology - Nature And Influence Of Celtic Myth - From Druidism To Arthurian.. (Sterling Publishing Co., 1990). Mark, Joshua J. "Vortigern." Ancient History Encyclopedia. Last modified May 23, 2017. https://www.ancient.eu/Vortigern/. Mark, Joshua J. "Vortigern." Ancient History Encyclopedia. Ancient History Encyclopedia, 23 May 2017. Web. 18 Apr 2019. Written by Joshua J. Mark, published on 23 May 2017 under the following license: Creative Commons: Attribution-NonCommercial-ShareAlike. This license lets others remix, tweak, and build upon this content non-commercially, as long as they credit the author and license their new creations under the identical terms. Please note that content linked from this page may have different licensing terms.